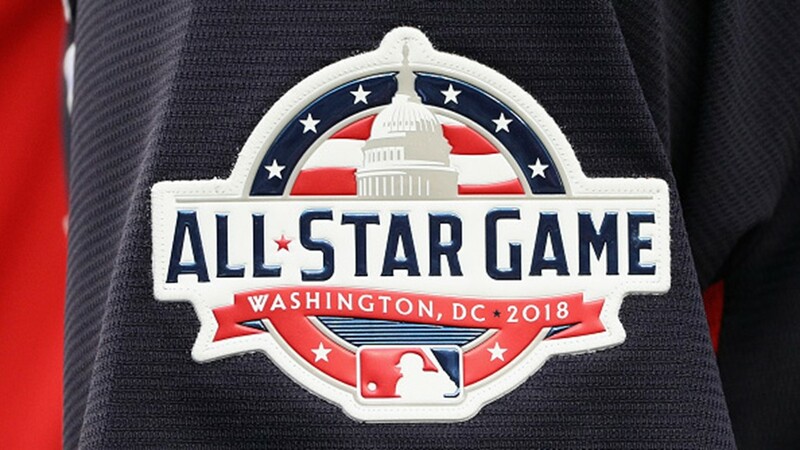 A detail view of the All-Star Game logo on a players sleeve is seen during Gatorade All-Star Workout Day at Nationals Park on July 16, 2018 in Washington, DC. 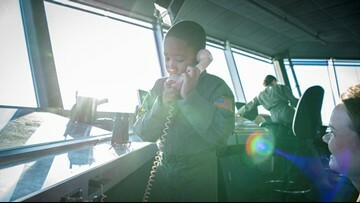 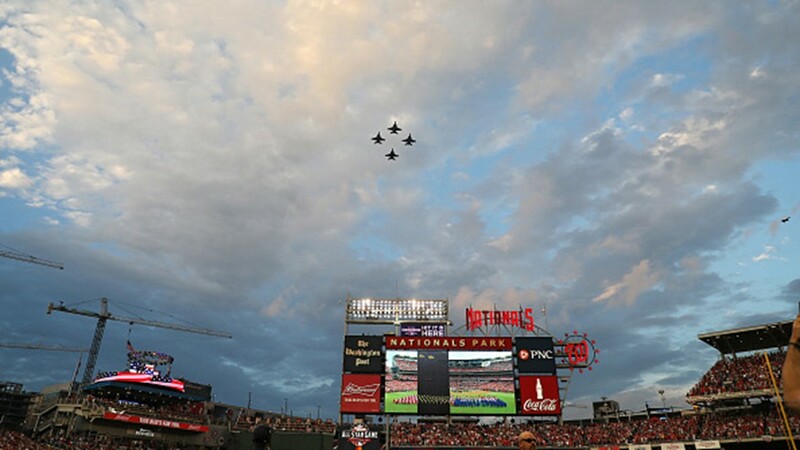 Military aircraft perform a flyover before the 89th MLB All-Star Game, presented by Mastercard at Nationals Park on July 17, 2018 in Washington, DC. 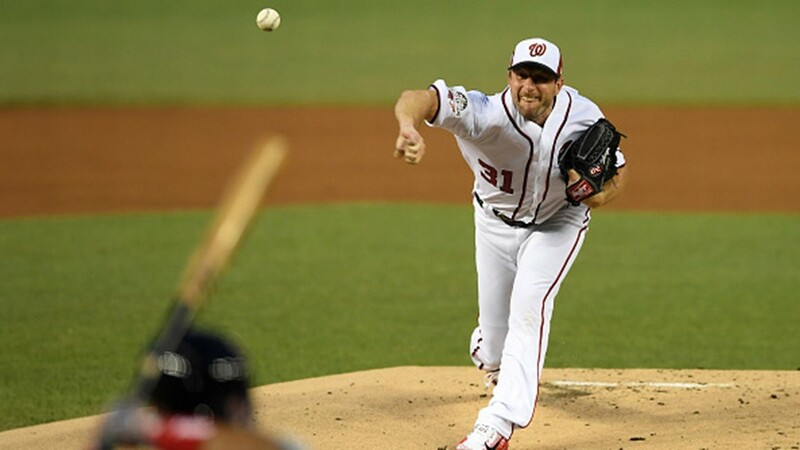 Max Scherzer #31 of the Washington Nationals and the National League throws out the first pitch in the first inning against the American League during the 89th MLB All-Star Game on July 17, 2018 in Washington, DC. 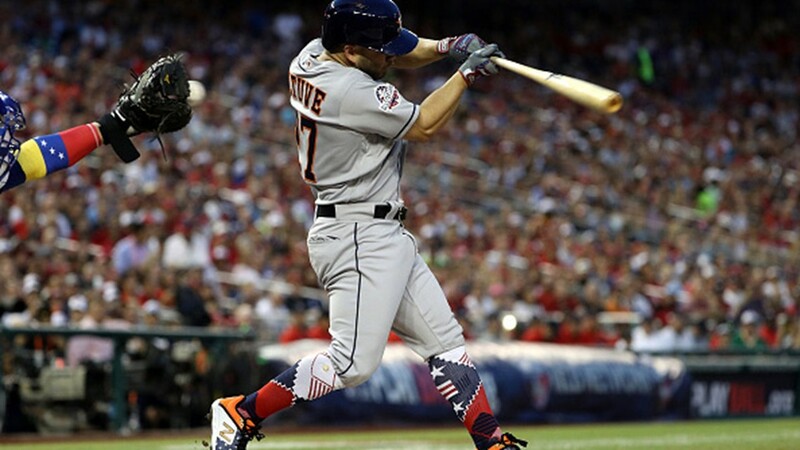 Jose Altuve #27 of the Houston Astros and the American League strikes out in the first inning against the National League during the 89th MLB All-Star Game, presented by Mastercard at Nationals Park on July 17, 2018 in Washington, DC. 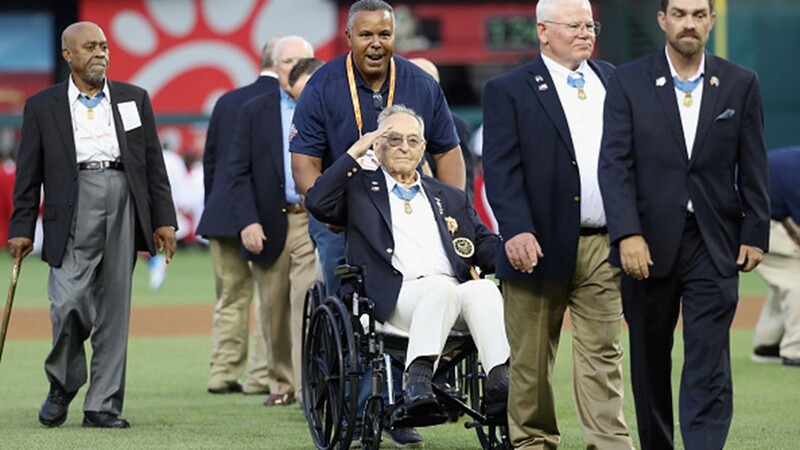 Medal of Honor Recipients leave the field during the 89th MLB All-Star Game, presented by Mastercard at Nationals Park on July 17, 2018 in Washington, DC. 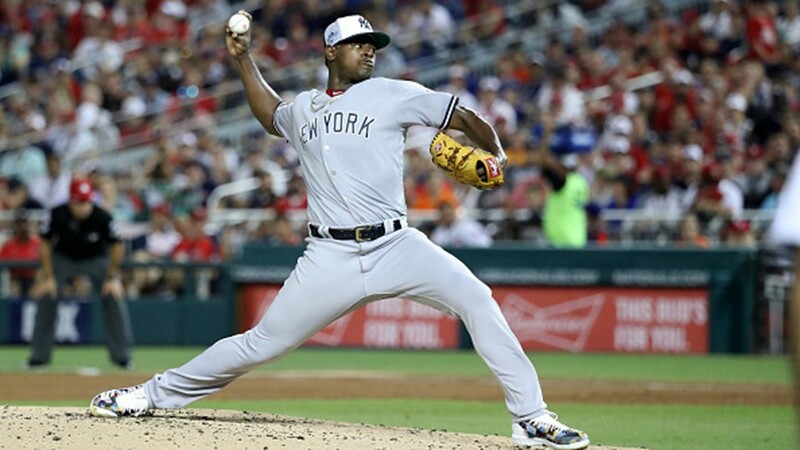 Luis Severino #40 of the New York Yankees and the American League pitches in the second inning against the National League during the 89th MLB All-Star Game, presented by Mastercard at Nationals Park on July 17, 2018 in Washington, DC. 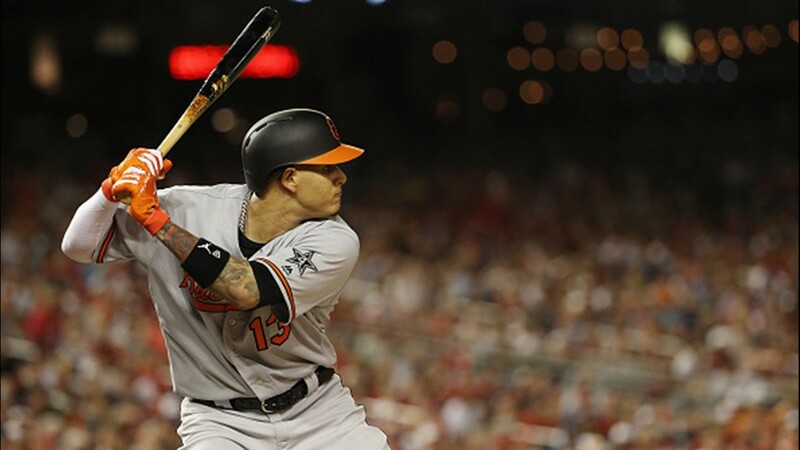 Manny Machado #13 of the Baltimore Orioles and the American League bats in the fourth inning against the National League during the 89th MLB All-Star Game, presented by Mastercard at Nationals Park on July 17, 2018 in Washington, DC. 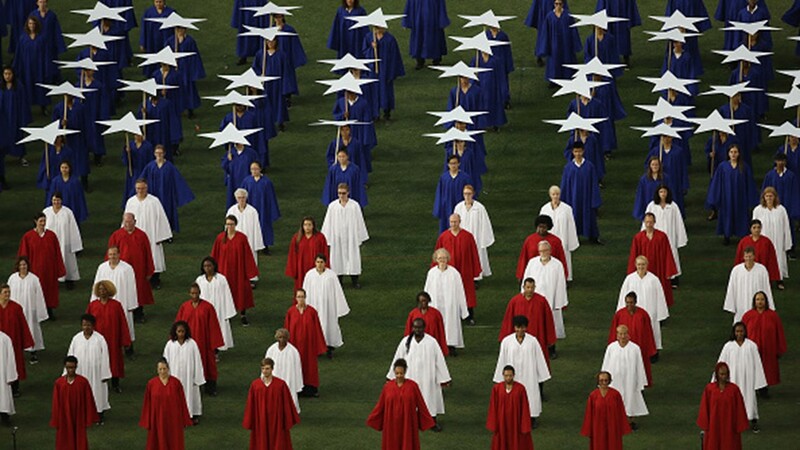 Choirs perform the national anthem before the 89th MLB All-Star Game, presented by Mastercard at Nationals Park on July 17, 2018 in Washington, DC. 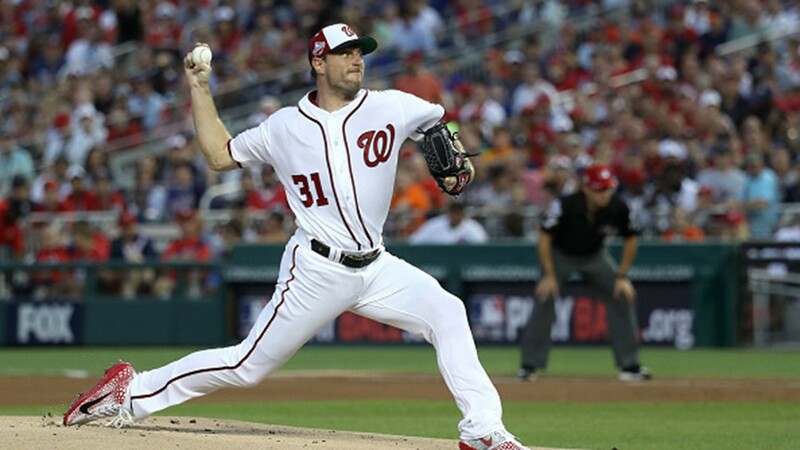 Max Scherzer #31 of the Washington Nationals and the National League pitches in the first inning against the American League during the 89th MLB All-Star Game, presented by Mastercard at Nationals Park on July 17, 2018 in Washington, DC. 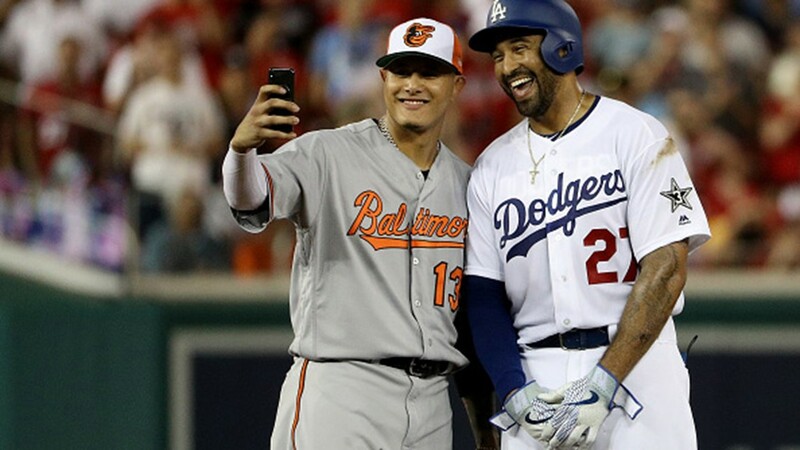 Manny Machado #13 of the Baltimore Orioles and the American League and Matt Kemp #27 of the Los Angeles Dodgers and the National League pose for a selfie in the second inning during the 89th MLB All-Star Game on July 17, 2018 in Washington, DC. 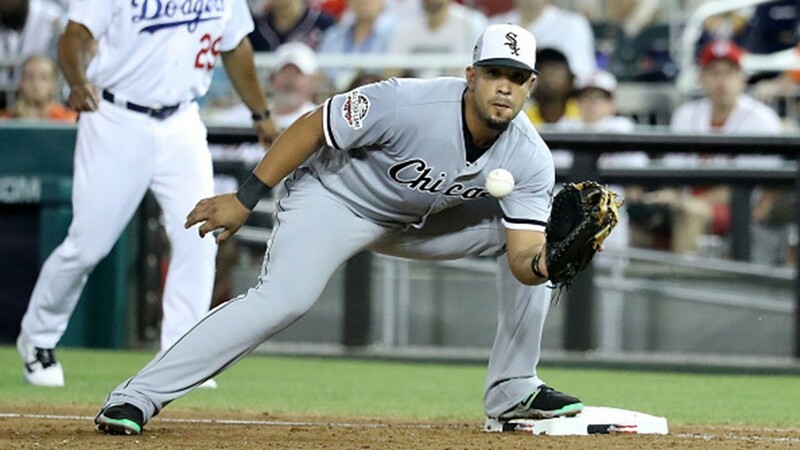 Jose Abreu #79 of the Chicago White Sox and the American League makes an out at first base in the fourth inning against the National League during the 89th MLB All-Star Game at Nationals Park on July 17, 2018 in Washington, DC. 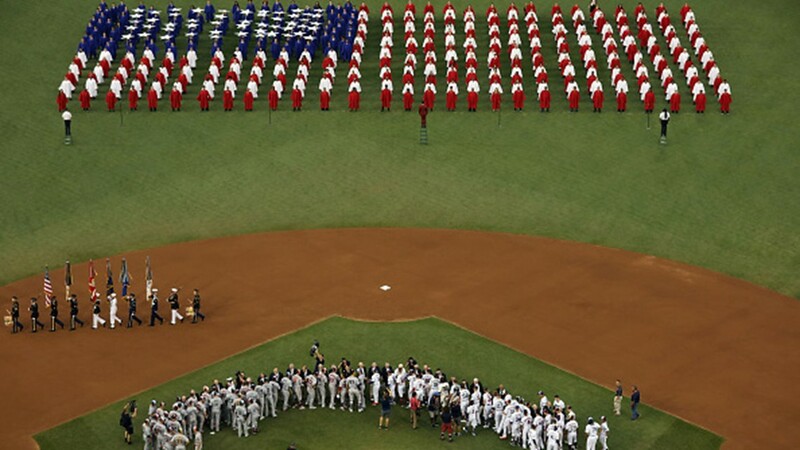 Nolan Arenado #28 of the Colorado Rockies and the National League makes a catch in the third inning against the American League during the 89th MLB All-Star Game, presented by Mastercard at Nationals Park on July 17, 2018 in Washington, DC.